Dream wedding meets dream holiday. Is there anything that can beat living it up with the love of your life on the best day of your life, in a holiday setting with fantastic weather that is practically guaranteed (350 days sunshine a year)? When everything lives up to your expectations and goes to plan a unique memory is made. 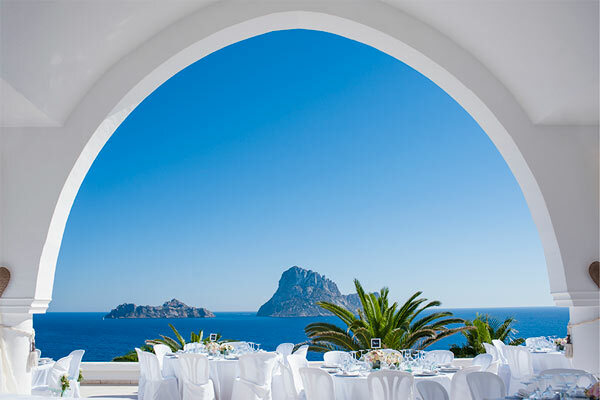 With our creative ideas and trusty organisational skills Ibiza Weddings will bring your dream to life. There is hardly any other island in Europe that can keep pace with Ibiza, when it comes to its wealth of beautiful locations. How would you like, for example, to celebrate your wedding in the gardens of a typical Ibizan finca or on a romantic ship as it sails off into the sunset? We look forward to bringing you on a tour of the island’s most romantic spots. Ibiza offers excellent restaurants for every taste – on the beach front or in the picturesque countryside, rustic or luxurious, with traditional Spanish or international cuisine. 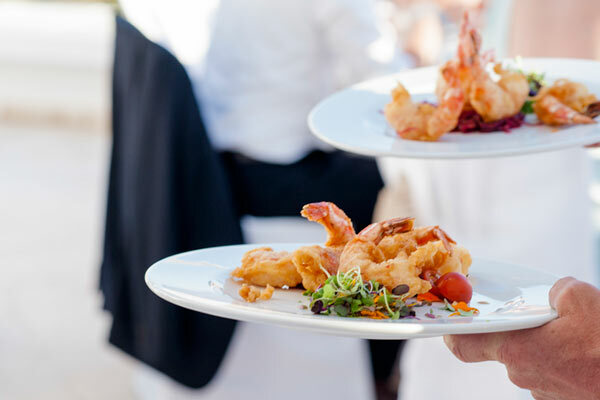 If you don’t want to celebrate in a restaurant then we will be delighted to recommend one of Ibiza’s top local caterers. You will get a chance to sample your wedding fare at your rehearsal meal or sample your chosen wedding buffet so, no matter what option you go for, you can rest assured that all dishes served will be one hundred percent to your taste. Entertainment on Ibiza is always top rate and your wedding reception will have the added plus of a top class entertainment programme. 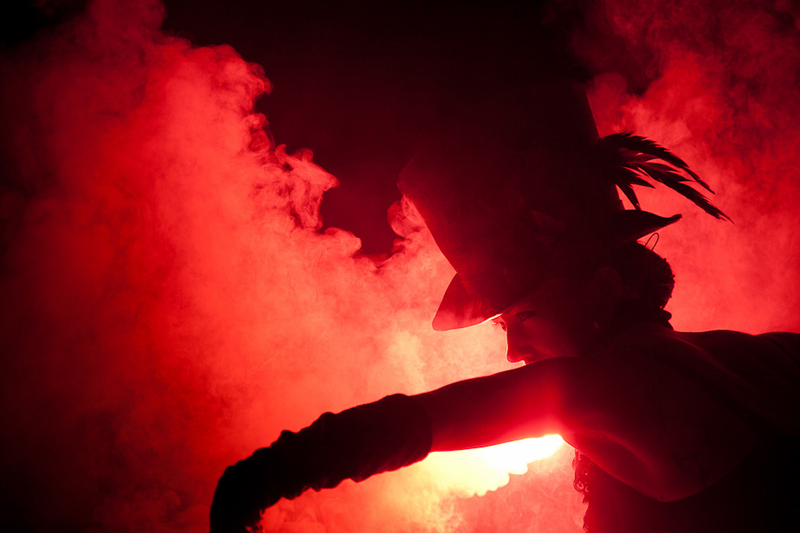 The choice is endless and guaranteed to please: our large network includes DJs, live bands, dancers, magicians and numerous other entertainers who will be sure to enchant you and your guests. The chosen decor lends a personal touch to your wedding location. If you wish, our decorator can create a personalised theme that will make your celebration instantly unique– in perfection and character- down to the smallest detail. Black and White, Hippy Chic, Rock ’n’ Roll or Pirates of the Caribbean? If you like to be a bit different and dream of a themed wedding, then Ibiza Weddings can arrange a wedding with the theme of your choice: with special styling, costumes and a decor created especially for you. For perfectly captured memories we work with professional photographers and videographers, who will capture the best moments of your special day for eternity. So that everything runs smoothly on your special day- down to the very last detail- we can also arrange perfect styling and your wedding car, we can take care of your guests and children and carefully select chosen highlights such as wedding doves or butterflies.